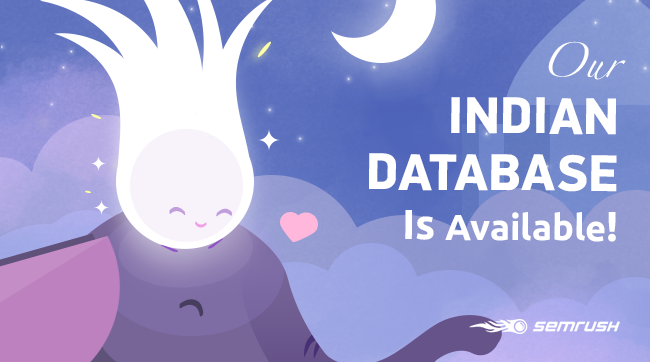 Last week we announced the launch of our Japanese database. Today we have expanded our databases to include one more regional one! Now SEMrush customers in India can use our powerful reports and tools to see data for their local projects. Our Indian database contains 6,000,000 of the most popular keywords used in Google India. Depending on their popularity, keywords data is updated daily, weekly, or monthly. The more popular a keyword is, the more often it is updated. All SEMrush reports and tools are now available for 27 countries!